Welcome to the ASU family Richelle! Thank you for your business! 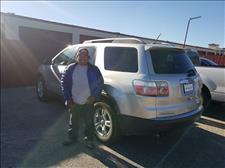 Lorenzo purchased a vehicle earlier this year and recommended us to his son. 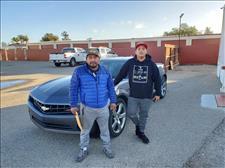 Thank you Yovane and congrats on the new Camaro! 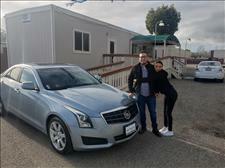 Michelle and her boyfriend came onto our lot looking for something reliable, fuel efficient, and nice. 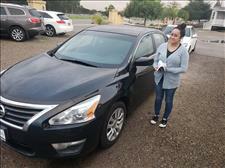 We were happy to pair them with this nice Nissan Sentra. 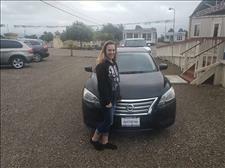 Thank you for your business Michelle! Welcome to the ASU Family! 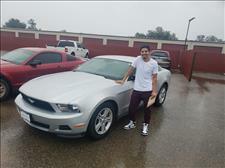 Ulises traded in his old Ford Mustang for this specially ordered Mustang we got for him. Thank you for your business sir, welcome to the ASU family! 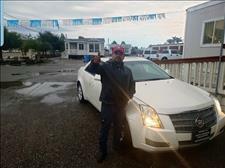 Silvestre came onto our lot to check some cars out and fell in love with this beauty of a Cadillac. 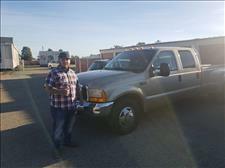 Thank you for your business Silvestre, enjoy your new ride! Edward's parents bought a Honda CRV with us and we are honored that the family continues their business with us. 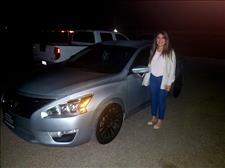 Congrats on your Nissan Altima buddy! Appreciate the business! 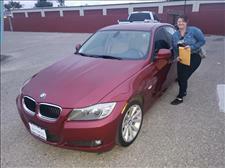 Rosina wanted something fancy and she drove away in her BMW 328i. Appreciate the business Rosina! 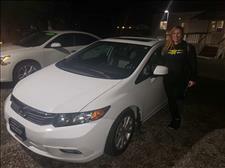 Welcome to the Auto Source family Ana! The kids are gonna love their new Chevy Traverse! 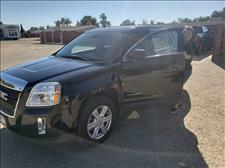 Yazmin always dreamed of owning a GMC Terrain, well now she's driving it! Only here at Auto Source Unlimited. Located at 760 S. Frontage Rd in Nipomo CA. Don't dream it, but it! Congrats on the GMC Terrain Yazmin! 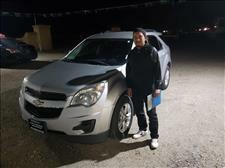 The sun will set but our deals will lighten you up including our newest Auto Source Unlimited family member Gabriela! 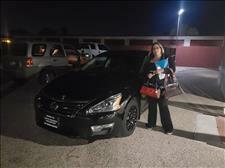 Thank you for your business and congrats on the new Nissan Altima! Luis was recommended by a previous customer and couldn't have been happier. 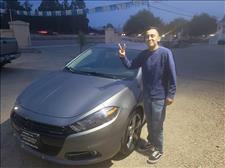 Congrats on your new 2015 Dodge Dart buddy and thank you for your business! 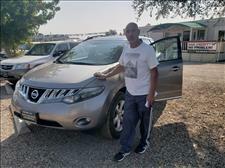 Congratulations to Gregorio on his new 2009 Nissan Murano. He drove all the way from Paso Robles to pick this beauty up and we greatly appreciate your business! 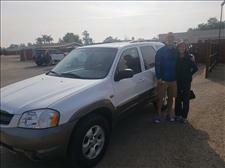 A big thank you to Roger and his wife, Gwynn for purchasing this 2005 Mazda Tribute. 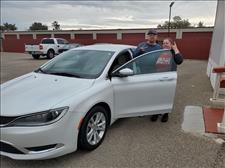 Congratulations on the new ride! I'm sure your daughter is gonna love it! 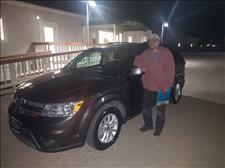 Congratulations to Emmanuel on his new 2013 Dodge Journey. It was a pleasure serving you sir! Shane didn't think we could get him financed. Shane maybe with some other dealers but not for Auto Source Unlimited. We have Matt Gamboa aka the Financial Magician! 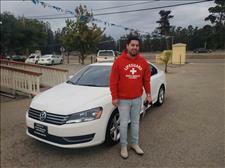 Congratulations Shane on your new VW Passat. You're gonna be cruising in style! "Sandro I heard about your awesome deals but I'm 45 mins away and don't have a car." Efrain, we will be at your doorstep in 25. Yes Central Coast, we will pick you up or take the car to your door step. 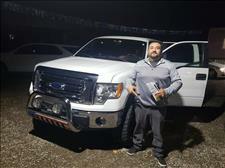 Now Efrain is our new member to the Auto Source family. Come pay us a visit at 760 S. Frontage Rd. Nipomo CA. "Sandro, I always dreamed of owning a Mercedes Benz." Well Enrique, now reality is better than your dreams! 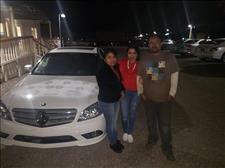 Congratulations to Enrique and his family on their new Mercedes Benz. Central Coast, if you like this car or want us to find you something pay us a visit at 760 S. Frontage Rd in Nipomo CA. "Sandro, I live in Bakersfield and can't find a good deal on a Diesel truck..." Abraham you can't get a good deal in Bakersfield because Auto Source Unlimited is located in Nipomo! Congratulations Abraham! He's now driving home in his F350. Call or message us to chat. We will give you some good tips on buying a car. 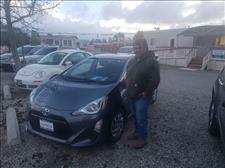 Welcome to the Auto Source Unlimited family, thank you Rosanne and thank you Johnnie for recommending us! To all our customers past and present, we cannot be more thankful for you business! "Sandro, my New Year's resolution is to buy a new car..." Say no more Alejandra and just like that we're off to an awesome start here at Auto Source Unlimited. 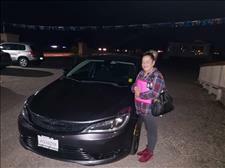 Congratulations Alejandra on your new Chevy Cruze. Central Coast, make this your year and treat yourself to a new car. We are located at 760 S. Frontage Rd in Nipomo. Open 7 days a week. All our customers leave with a smile knowing they got the best car price and of course, best service! 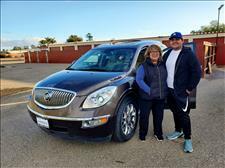 Congratulations Darrel and Elaine on your new Enclave. Central Coast, we finance all credit types and also will work with your own bank. Stop by at 760 S. Frontage Rd in Nipomo and ask for Sandro. It's always sunny here at Auto Source Unlimited where the sale never ends. 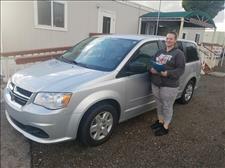 Congratulations to Kimberly on her new Dodge Grand Caravan. Stop by and say hi! Don't forget to ask for Sandro! "Sandro, you don't have what I'm looking for... I want a 4X4 F150." Junior, hold my drink and BOOM! Just like that he got his late Xmas gift. 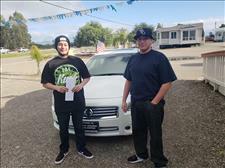 Central Coast, if you don't see the car you want stop by and do a quick app and we will do our best to get you what you want a the best price. Just like our friend Junior here. Sandro, Roman Da Barber said you'll do your best to get us the best deal possible. 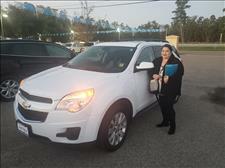 Martin and Karrisa... well Roman always speaks the truth and just like that Congratulations on your new Equinox! Central Coast our past customer are always our best form of advertising. It was a pleasure serving you two! The perfect couple needed the perfect SUV. That's us, Auto Source Unlimited... the car match maker! 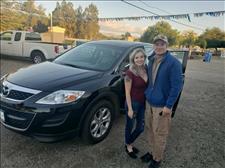 Congratulations Gabrielle and Manuel on your new Mazda CX-9. Central Coast come to 760 S. Frontage Rd. We work with any kind of credit! Open 7 days a week. 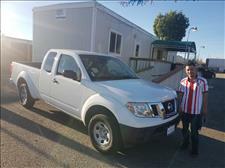 Cuando las Chivas ganan la aficion compra... Felisidades a Amibal en su nueva Nissan Frontier. No importa que equipo te guste aqui en Auto Source Unlimited te damos el mejor precio y mejor servicio con tres meses de garantia. "Sandro, queremos un carro bueno, bonito, y barato..." Lorenzo y Mago, no se diga mas y les doy garantia de 3 meses y les lleno el tanque de gas, SAS! Felicidades Lorenso y Mago en su nuevo Acadia y gracias por su apoyo. Forecast for Auto Source Unlimited, heavy downpour of deals and a flurry of satisfied customers. 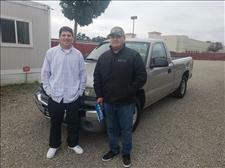 Congratulations to Rodrigo and Bob on their new GMC Sierra truck. Have a great day Central Coast!! 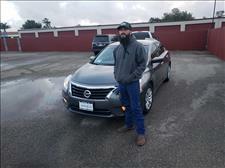 Cory weathered the rain, wind, and everything mother nature threw at him to get into his new Nissan Altima at Auto Source Unlimited, located at 760 S. Frontage Rd. Nipomo CA. Congratulations Cory! Central Coast, when you're ready for a new car, stop by and pay us a visit! Don't forget to ask for Sandro! After first coming to Auto Source Unlimited a month ago and visiting other dealerships. Salvador confirmed that we do have the best cars prices and service in town. 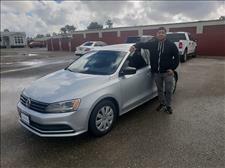 Congratulations Salvador on your new VW Jetta. Central Coast, come visit us in Nipomo CA. "We've never bought anything on credit..." David and Daniel, here at Auto Source Unlimited don't worry about your past. We worry about now and setting you up for the future! 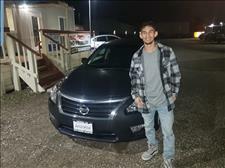 Congratulations guys on your new Nissan Maxima and getting a jump start on building your credit. Come visit us at Auto Source Unlimited, where the sale never ends! Love is in the air here at Auto Source Unlimited. Congratulations Ann Marie on her Valentine's present. 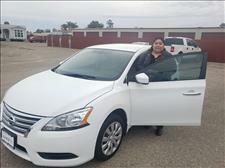 A new Nissan Sentra! If you love to save money and love great deals, we would love to help you get in to a lovely car at Auto Source Unlimited. Happy Valentines from all of us here at Auto Source! What a guy! 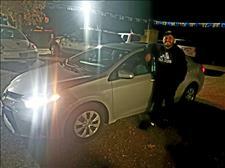 Gil bought a new Prius for the wifey. Gil my friend your going to have a Valentine's day all year! Congrats on the Pruis! Come visit us at Auto Source Unlimited. Where the sale never ends. Thank you for your support Central Coast! Our customers smiles always outshine a cloudy day here at Auto Source Unlimited. They buy a car at the best prices and service. 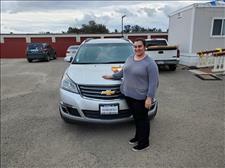 Thank you for your business Valerie! 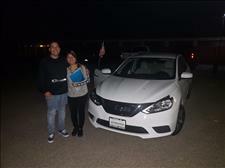 Enjoy your new 2015 Nissan Sentra. Baseball is around the corner and Jonathan is feeling like a champion, just like his Red Sox's! 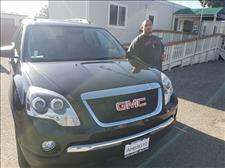 Congratulations on your new GMC Acadia. Central Coast stop by 760 S. Frontage Rd in Nipomo. WWW.ASUNLIMITED.COM Whatever team you go for, you'll feel like a winner with Auto Source Unlimited. 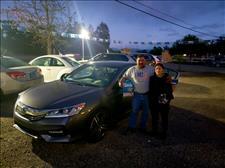 Apolinar surprised his daughter with a new 2016 Honda Accord. Congrats you guys and thank you for your business! Momma knows best! 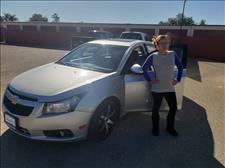 Mary Ann bought a car with us and brought her daughter to come pick one out as well. 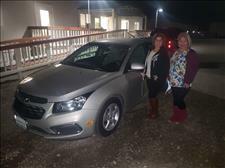 Crystal congrats on your new Cruze! 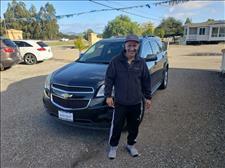 Jose happy with his new Equinox. Thank you for your business sir! 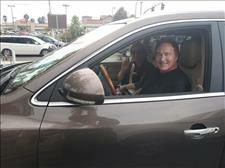 Enjoy that new ride! His wife wanted a new van, he knew what to do. Come to Auto Source Unlimited. 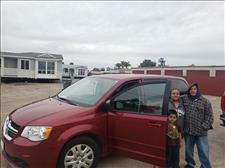 Lucia and Ramiro, congrats on your new van! A Texas girl is incomplete without her truck and horse. 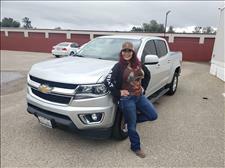 Say no more Sandra, I can't help you with the horse but Congratulations on your new Chevy Colorado at the best deal around only at Auto Source Unlimited.